Experience a bespoke service by Bridie of Born To Thread. The biker jacket can be seen as a bit masculine at times especially when you think back to trendsetting rebels such as The Ramones making them famous but that is where mine are different, I have worked hard on my designs within the shape and style to add femininity, softness and a blending of lush colours you are guaranteed to feel the bomb in one. My idea for making leather jackets came to me in 2016 where I discovered samples of leather that looked amazing and though it would be a really fun to have a go at making one so I did and this really ignited a passion in me for leather craft.. I taught myself how to make a jacket from an existing one I had, then developed the patterns to change the style and create the perfect fit. It also happens to be a personal favourite item of mine which is why I absolutely love making them. Each one of my leather jackets are made from high quality leather sourced from an ethical leather merchant in Northampton UK and hand crafted by my fair hands from my small studio in North Yorkshire UK. 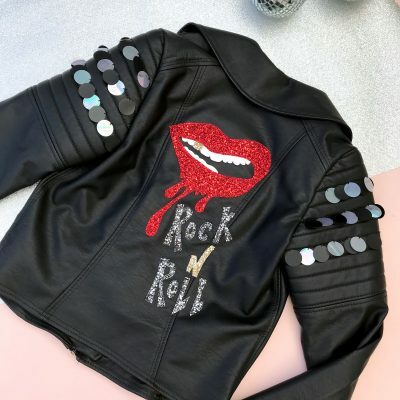 I have options for plain jacket or an added personalised back patch to your requirements, where each design is hand drawn and cut out in specialised fabrics to create a true investment piece just for you. 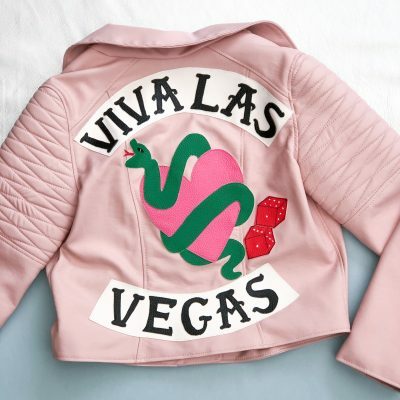 Your jacket and patch will then be fully made up from scratch by me and I will then contact you to show how the patch looks on the back, once your happy I will then finish off the jacket and it will be ready to post. 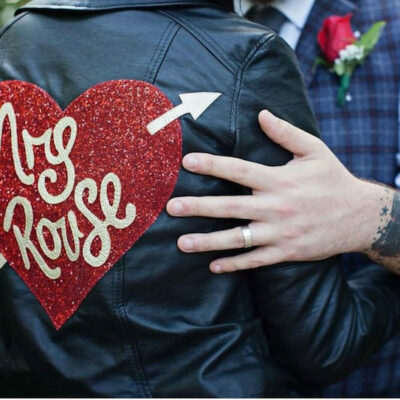 So, if you’re looking for that edgy style on your wedding day or even just for every day, then my handcrafted leather jackets are just for you. Back patches: Have a certain theme, colour way or even a favourite film/ tv programme –no idea to big or too small, I’m always up for a challenge. Ready to wear jackets are available to buy from the born to shop page where you can invest in one of my hand drawn designs but if you have a specific design in mind please contact me as the price may differ, I’m already excited to hear your ideas. 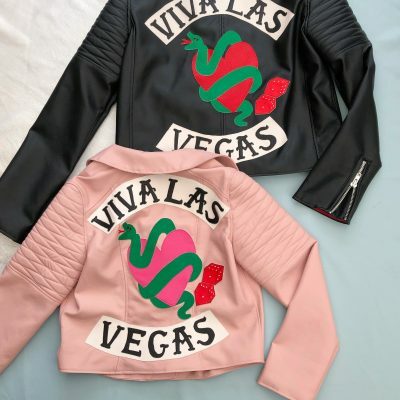 *The process can take 3 to 4 weeks (depending on the design ) Jackets are non returnable or refundable due to this been made to order service, so please make sure to double check sizing before ordering and please order in plenty of time.